The picture above is from my campsite up on the mogollon rim, the snowstorm took 3 days to melt so not to bad. This is a area where a lot of full time Rvers head, due to the fact that you are able to bounce back and forth from the Tonto National Forest to the Apache-Sitegreaves National forest. 14 days in one then 14 days in the other. Most sites have camp hosts, vault toilets, and fire rings as well. Water is available for free at canyon point campground. Dump and trash are there too, but there is a fee. If your gonna stay awhile make sure you get large trash bags I had 6 very small wal-mart bags filled with trash my bill for garbage was $18, when I asked what if I combine all the bags into one big bag I was told it would only be $3 makes perfect since to me needless to say I just threw them away at the next dumpster. If your interested in this area a quick google search of Forest Lakes, AZ will show you the general area. Now to explain the title of my post as well as my delinquency for a little over 2 weeks. Ive driven nearly 600 miles exploring the backroads of north eastern Az in search of a little plot of land to call home. Someplace where I could set up camp for few months a year, and not be herded around every couple of weeks. The search proved to be a little more difficult then I had anticipated, after looking at several pieces of acreage I made a phone call to the county zoning office. They informed me that you can not park on RV on your own land, the only way you can park an rv on your land is if you have a principle residence on the property as well, but I could store it for up to 30 days there. Seems a bit crazy to me, that you can buy 20 acres in the middle of nowhere, and there is restrictions on camping, or rving on it. Would you get caught? Probably not, but if you did you could be fined, and possibly kicked off your own property, and most counties have zoning laws like this! Well thats my mini rant. The good news is, after calling several counties Apache County in Az is zoned agricultural I asked if I was able to park my Rv there? They said sure, but you better be able to explain what your doing with your dirty water? Sounds like a fair enough deal. So off to Apache County I go. Heres a few more pictures of my camp on the rim. Candy making buddies. Thanks for stopping by! Nice spot! Thinking about heading up there this Fall. Look forward to your posts. Kimbopolo! Careful it can get chilly up there in the fall! the place is good, but what happen to the trees on the second picture? I think I know where you are. Isn't that where the big fire was a few years ago. The Chedeski(sp)Rodeo. Holbrook area. Of course the fire was huge and hit many towns. Good for you on finding somewhere to call a base camp. Went and played in the snow up at Sun Rise. They still Skiing up there? Isn`t it crazy what you can and can`t do with your own land. 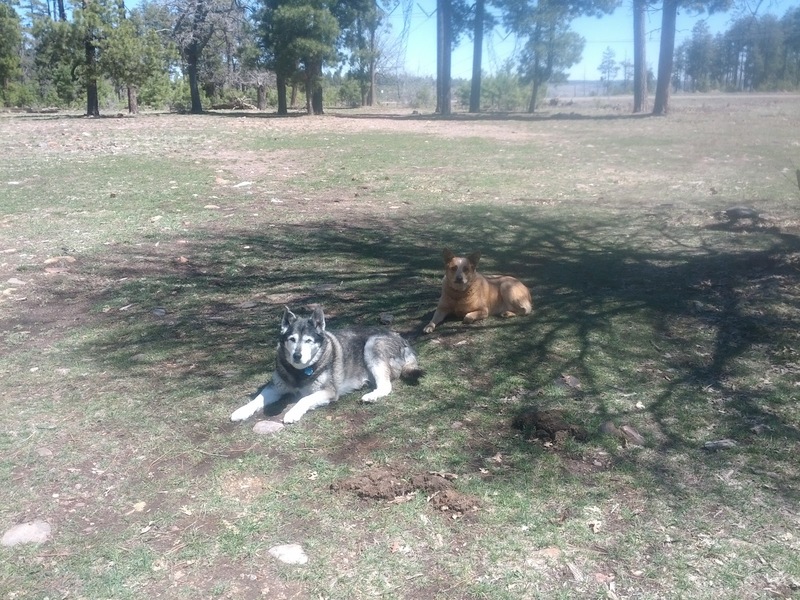 I`m also looking for a piece of land in north az. It never acured to me that I couldn`t park my rv. Thanks for the info nomad. Your welcome Dan. Apache county seems to be the place to be. Good luck with your search. "Camping" on your own land"
Thanks for the info Rujo. Ryan, north-western Mohave County (west of Kingman) allows for living out of a vehicle. Message me on the forum, for particulars, if you're interested. Nomad, check out a website and blog called tinyhouse.com. People all around the u.s. are building houses the size of your van so they can get around all the zoning rules. Also there cool little houses. Thanks for the info on the Apache County - they might have some land in my future! I wouldn't mind leaving every other week to dump and get water. I have to shop that often anyway and I'm sure there are places you get that done for a fee. Its about 15 to 20 miles to Show Low. The giant has a free dump, and water. Otherwise there are closer dumps with a fee. I'm in the same boat...looking for land I can camp on. The problem I'm running into with Apache County is that it's often very windy there, plus the crime rate is high. I ran into a guy the other day who said someone stole his 8x8 wood storage building! !